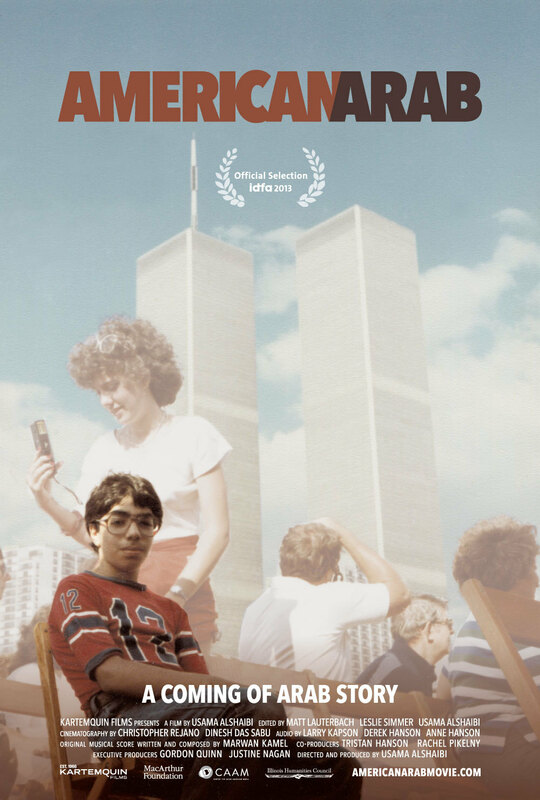 Usama Alshaibi’s documentary American Arab has its national television premiere on Tuesday, February 9, 2016, at 8 p.m. on WORLD Channel, as part of the fourth season of America ReFramed, public media’s newest documentary series. The film, made through Chicago production collective Kartemquin Films (makers of The Interupters), will be available for free streaming on www.worldchannel.org starting February 10, 2016. "AmDoc is thrilled to collaborate with WORLD Channel and WGBH on the fourth season of America ReFramed. As co-producers, we share a passion for storytellers committed to helping us gain a deeper and more nuanced understanding of America today," says Justine Nagan, Executive Director, American Documentary, Inc.
American Arab world premiered at IDFA, and had its US premiere at Big Sky Doc Fest, before screening at Chicago Underground Film Festival (where it received an special jury honorable mention), Cleveland International Film Festival, Minneapolis / St. Paul Film Festival, and more festivals and community screenings. It is available on DVD and VOD. Alshaibi began the project under a diversity fellowship at Kartemquin Films. The fellowship was enacted with support from the MacArthur Foundation and the Ford Foundation. Additional funding came through CAAM and Illinois Humanities Council.